Hunting cow elk is one of the most exciting and rewarding experiences of my hunting career. There are also several practical reasons to go after cow elk. Cow elk produce meat that is much more desirable than that of a bull. Also, cows can get up to around 450 lbs. so you can still get plenty of meat without springing for a bull tag. This means you can save hundreds of dollars on your tag and give yourself a 500% better chance of success versus going after a bull. Colorado is on a major campaign to reduce the number of elk in the state. They are focusing mainly on cows for this effort. The state has done everything from increasing lottery numbers in certain units to removing the lottery altogether in others. In the Flat Tops, where I plan to hunt next year, there is no lottery. You simply go online and buy a tag. Now do not get too excited. The elevation is extreme with areas over 14,000 ft, and there are no ATV’s or trucks allowed. By horse or by foot are your only options, so choose your area carefully. There are enough big cows in any given herd that you should be selective about the shot you take. Make sure you get close enough to avoid injuring the cow. Do not allow any obstructions and ensure you have a rest for a long shot. If you injure a cow, it would be tough to take a follow up shot against the herd. It might even be tough to determine which elk you hit. Try to stick to a distinctive cow like the last in a line. Also, think about hauling out your meat. Try to avoid shots up on a ridge or in dense woods. Remember that you will have several hundred pounds of meat to drag home. There should be enough cows that you can stay close to a trail and still get a good shot. 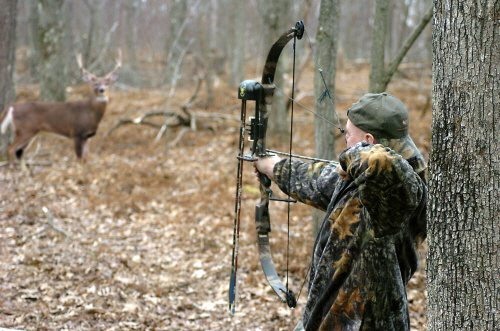 If you are hunting during the rut, the lead cow is the ruler of the herd. Most of the bulls are focused on the chase and not paying attention to their surroundings. However, you will likely find an old cow at the head of the line watching out for danger. You make be okay if you spook any of the other elk in the herd. If you bump the lead cow she will head for the hills, and you will likely not see that herd again. 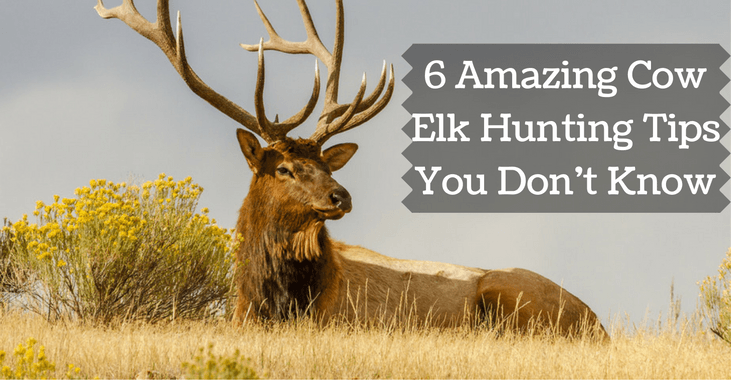 Hunting elk is different from just about every other type of hunting in the US. It is not uncommon to go several seasons without taking anything. Try to remember that any elk is a trophy. There is nothing wrong with going after a cow for a thrilling hunt and for meat in the freezer. Also, try to take an inexperienced hunter with you. 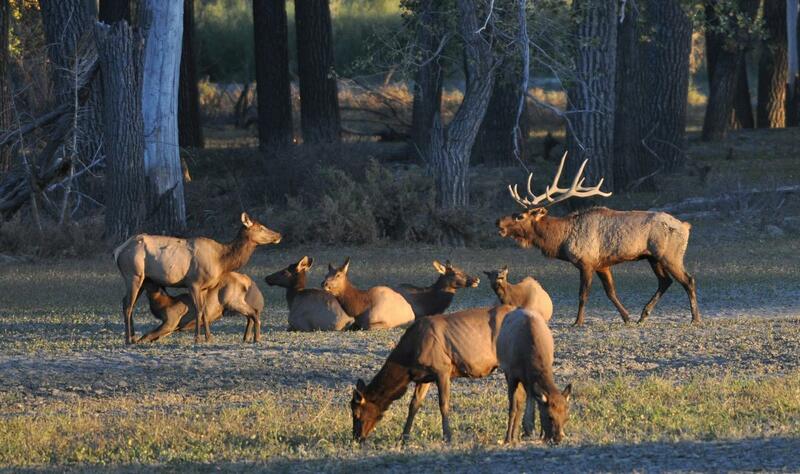 If you want to get a newbie hooked on hunting for life, what better way than an elk hunt. Cows are not as jumpy as bulls and will give them more time for a shot. Do not be afraid to wait until late in the season for low country hunting. As the snow gets heavy, most of the elk will come out of the high country allowing for easier hunting as late as mid-January. Despite the fact that the odds of taking a cow are five time better than the odds of taking a bull, do not expect to roll in and take one on the first day. With any elk hunt, you have to put in the time to find the right situation. Plan on hunting sun up to sun down during season, and do some scouting for several days before you actually start hunting. If you find a good spot, be patient. It is not uncommon for a hunter to sit on a spot for three or four days only for another hunter to take an elk in that spot as soon as they leave. Do not get discouraged. If you get close for a shot and the wind shifts spooking your prey, shake it off and regroup. Hunting even a cow elk is rarely a simple venture. They are wily animals. 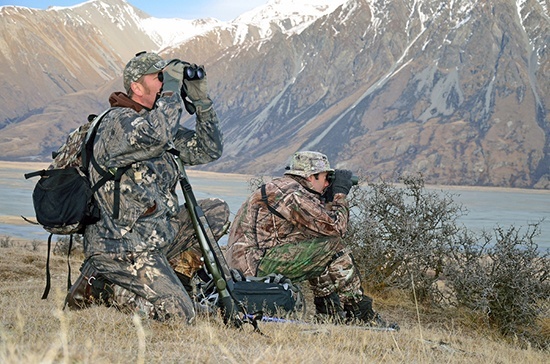 One of the best ways to make your hunt easier and more exciting is to know your calls. The right call can bring your cow in within 100 yards. This is a much more enjoyable and memorable experience than taking a shot from several hundred yards. Also, the sounds of the elk calling around you really gets your blood pumping. One call to be wary of is the bark. You can tell from the video that the bark signals that a cow has been spooked and is likely leaving the area. Be sure not to use that sound, and if you hear it be ready to move on. ​The call that is most effective is the one bulls use to call cows. If you can perfect this technique you can bring the cows running right to you. Use a double reed mouth call with a two foot tube to project the sound. You start out high and end with a lower growl as the bull runs out of air coming from his diaphragm. Please review the video for a demonstration. These calls can help you key in to the way elk communicate. ​Cow elk hunting anywhere is tough, but if you want the best chances you have to be preparing months in advance. This means having the right gear, but more importantly scouting your area and getting physically fit. 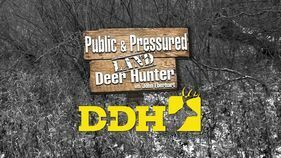 ​If you hunt public land like I do, you will have to travel further off the roads than 99% of the other hunters. I spoke to a Colorado wildlife expert that told me you would need to hike at least six miles off of the nearest road before you have good hunting. He also said most public land hunter are lazy and stay within one mile of the road. ​For scouting, talk to as many people as you can that know the area. Call park rangers and wildlife specialists. Do your research online and include topographical maps. Save them to your hunting gps and try to make a few trips to the area before the season starts to look for signs and flat areas amongst the ridgelines. ​As I started to plan for my first cow elk hunt, I became overwhelmed with the information available on elk hunting. However, most of it did not apply to how I was hunting or where I was hunting. The few sources I found that specifically broke down points of focus for my cow elk hunt were invaluable. ​Have you enjoyed reading our cow elk hunting tips? Please take the time to give us feedback in our comments and repost the article on social media if you enjoyed it. Thank you for reading and happy hunting!